Debuted in November 1986 for New Japan Pro Wrestling. Iizuka is known to be a frenzied fighter in and out of the ring. Trained in martial arts and having wrestled around the world, in 2008 he shaved his head and eyebrows and became the crazed fighter he is today. 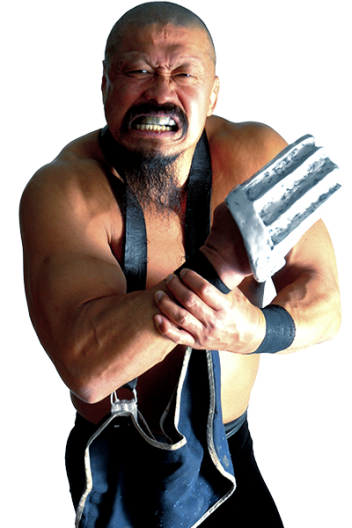 He’s aligned himself with heel factions such as GBH, CHAOS and Suzuki-gun. With his signature Iron Finger from Hell, there’s no limits to the extremes he’ll go to in order to inflict pain on his opponents.